So why the story? If he never lived there, how has it come to be known as “his house”? To figure that out, we’ll have to go back a few years. The Irving Place area was first developed in the 1830’s, extending eastward from the recently established Union Square Park. The property encompassing the area belonged to Cornelius Williams, and had been in his family since 1748. In 1832, realizing that he could no longer prevent the City from running streets through his land, Williams began leasing the area to developer Samuel B. Ruggles. Ruggles was instrumental in the planning of the area, being part of the coalition that developed an enclosed park bordered with a private residential community at the northern end of Williams’ farm that he named Gramercy Park, as well as petitioning the New York State Legislature to run a parallel street between Third and Fourth Ave. Above Gramercy Park this new street was called Lexington Ave., in honor of the Battle of Lexington. Below Gramcery, Ruggles named it Irving Place in honor of his friend Washington Irving. The “Irving House” was built by Peter Voorhis between 1843 and 1844, along with the adjacent two houses at 45 and 47 Irving Place. The original tenants of 49 Irving Place (then referred to as 122 E. 17th Street. The Irving Place address would come later) were Charles Jackson Martin, an insurance executive, and his wife, who would reside there from 1844 until 1852. Henry and Ann E. Coggill would live in it in 1853 and in 1854 it would become the home of banker Thomas Phelps and his wife Elizabeth, who would remain until 1863. Various other occupants would come and go over the next 40 years, including Charles A. Macy, a member of a wealthy merchant family and uncle of the department store founder, but it’s most celebrated residents would move in in 1892. Actress Elsie de Wolfe and her partner, theatrical and literary agent Elizabeth Marbury, would occupy the house until 1911 and it was during this period that the Washington Irving story would begin to circulate. As for Irving himself, he was a minister to Spain in 1844 when the house was built and wouldn’t return stateside until 1846 retiring to his estate north of New York City called “Sunnyside”, a property in Tarrytown, NY that he acquired in 1835 and would spend much time and money fixing up. He would pass away at Sunnyside in 1859. So it is highly unlikely he ever had dealings with the house at 49 Irving Place. Then what of the story? The first mention in print of Irving having lived in the house came in the Sunday Magazine Supplement of the New York Times from April 4, 1897. The article is a human interest story about Elsie de Wolfe and the means and methods she used to decorate “Irving’s house”. In 1905 de Wolfe would become known as the first professional interior decorator and it appears this article is an early attempt at publicity for her. As for the information about Irving, the article takes enormous liberties (actually, it flat-out makes things up), claiming that Irving had conceived of the house himself and was very particular about the architecture and design. Whether Ms. de Wolfe knew the story was a fabrication and used Irving’s name to lend credibility to her efforts, whether the newspaper writer mentioned Irving to make the story seem more flashy, or whether either person was simply passing down a story they had been told by someone else, we’ll probably never know. Although it bore no connection to Irving, the house did play host to de Wolfe’s popular intellectual salons, which at various points boasted of such Gilded Age dignitaries as architect Stanford White (for whom de Wolfe decorated the Colony Club) and society queen Isabella Stewart Gardner. The “Irving House” ca. 1900. Image from the collection of the Museum of the City of New York. Click here to view MCNY’s collection. 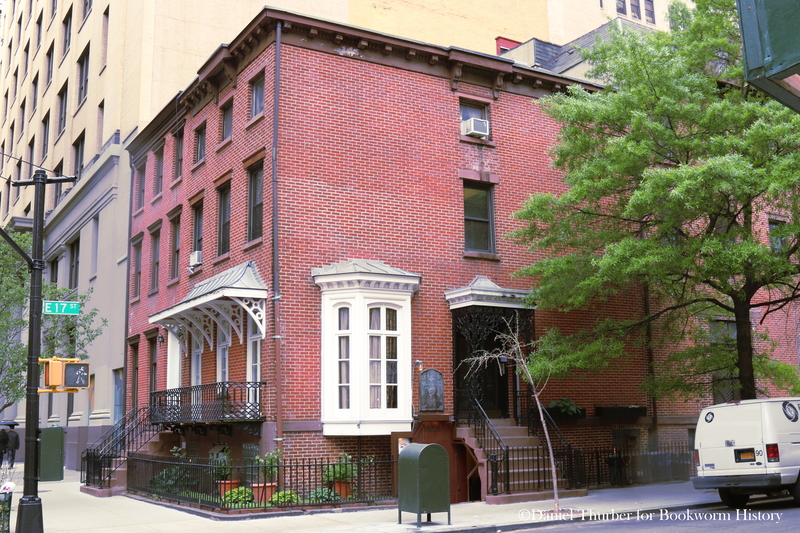 “I have been much interested to read about the Washington Irving house at 122 East Seventeenth Street (the House’s address in those days), and especially the letter giving the names of the owners for years past. “I have lived all my life in that neighborhood and, as a girl, was in this house hundreds of times while it was owned by the Macys. 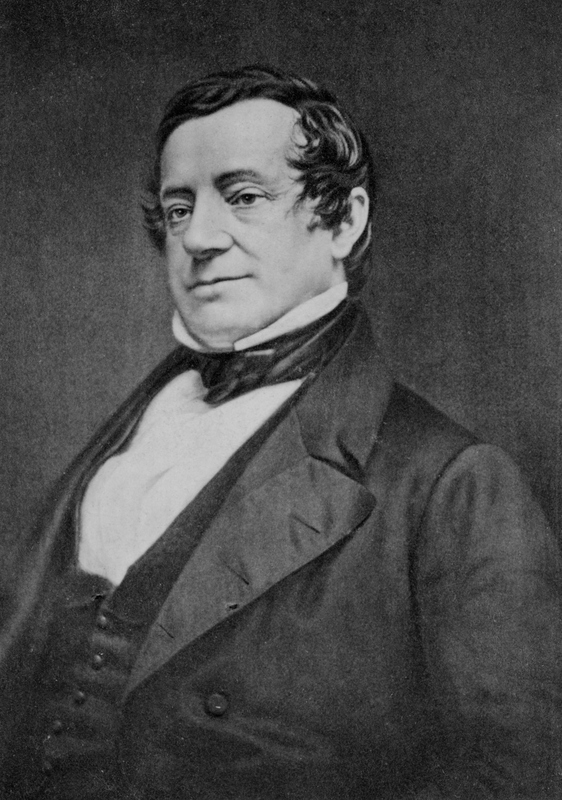 “In those days it was never even mooted that Washington Irving had ever lived in the house, but he was said to have boarded one Winter in a house at the southwest corner of Sixteenth Street and Irving Place. His nephew, Pierre Irving, lived at 120 East Seventeenth Street. His daughter, Mary, a very handsome girl, married the son of Huntington, the artist. I knew her. “After Elsie de Wolfe came to live at 122 East Seventeenth Street it was rumored that Washington Irving had lived in that house and that he used to sit in the second-story windows ‘to watch the boats in the East River.’ This was repeated in one way or another so many times that it was taken for truth. And yet, despite no evidence and Ms. Lewis’ outright denial, the story continued to grow. 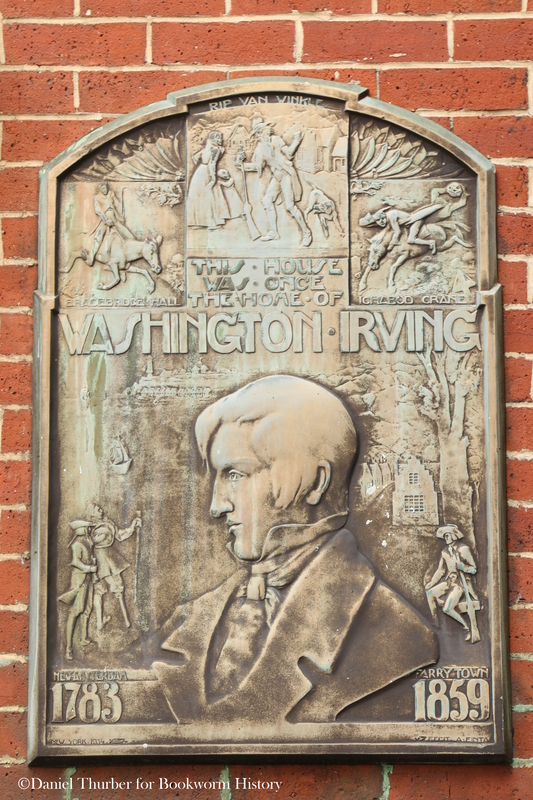 In 1930 a restaurant called the Washington Irving Tea Room was operating in the basement of the building and in 1934 a plaque sculpted by Rodin-student Alexander Finta was put up on the north facade that would cement the story in the public consciousness. For more information about both the “Irving House” as well as the rest of the East 17th St. Historic District check out the NYC Landmarks Commission Designation Report for the area by clicking here.